This guy was happy for the sun, as was I! Last week my husband took me to San Diego so I could be with him while he was on a business trip. I love doing that, except I always feel bad that I get to “play” while he has to work! This trip turned out to be a little less intensive for him than others I’ve gone on before, but I still did a lot more than he was able to do. But since he’s gone again this week, it was nice to have breakfasts and dinners with him each night, especially in so many lovely places. 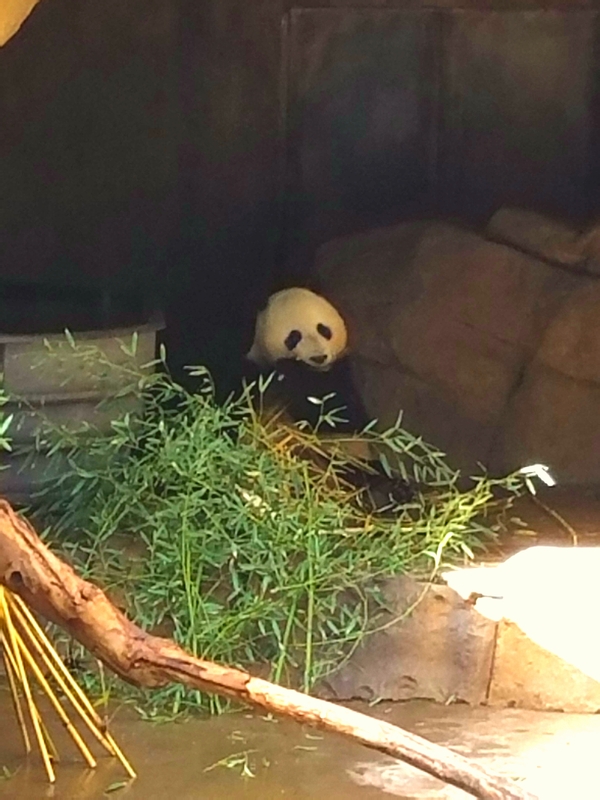 I haven’t been to San Diego since I was 7 years old and I only remember visiting the San Diego Zoo then, so I wanted to go back to see if it was as fantastic as I remembered. It was!!! 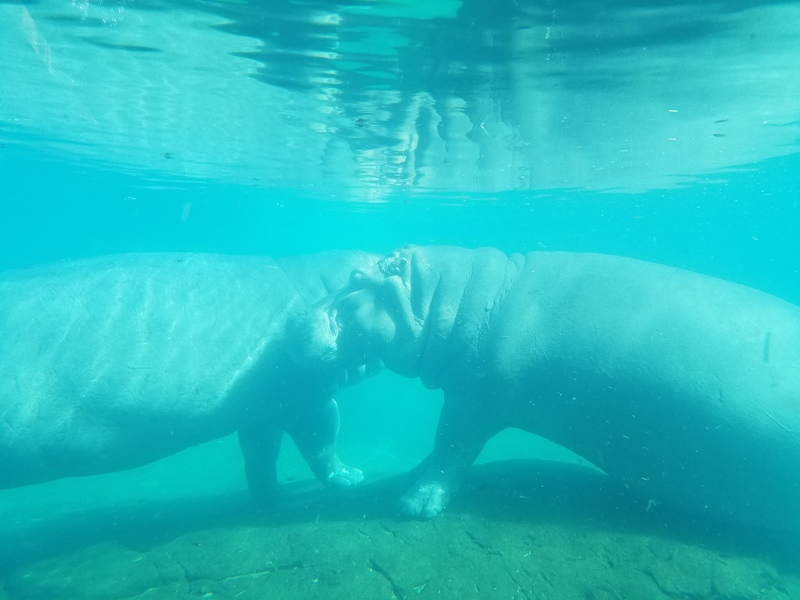 It honestly is more like a lush park that happens to have wonderful animal exhibits and friendly, knowledgeable staff than the typical zoo that has animal exhibits with some landscaping thrown in. While there’s certainly security and distance between the visitor and the animals, it doesn’t feel that way. And there are hills, lots of hills, so you definitely get some exercise in as well! I loved it; I’m so glad I went! Most of the time I was there, it was foggy, and while not cold exactly, somewhat chilly. San Diego is known for its almost perfect weather year-round, but we must’ve been there the one week that wasn’t the case, sadly. Although it was still beautiful! The fog thing though… I’ve never seen fog like I saw it there. I would literally be driving around and could see waves of it moving across the road like sheets of rain. From mountain to beach, from beach to mountain, the fog didn’t discriminate. 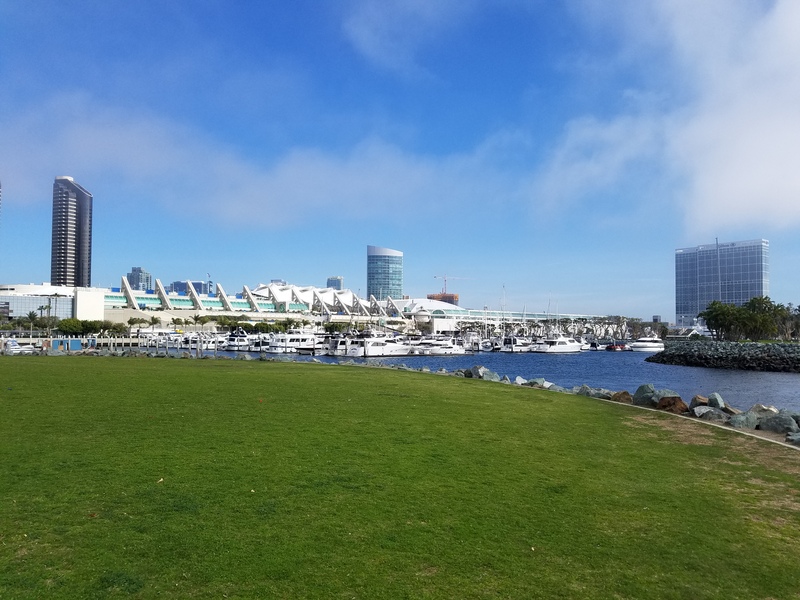 Once, I was standing at the San Diego harbor, and it was almost so dense I couldn’t see 20 feet in front of me, and 10 minutes later it was shiningly sunny! Weird. A woman that worked at the hotel where we stayed said she’s lived there all her life and has rarely seen anything like it. 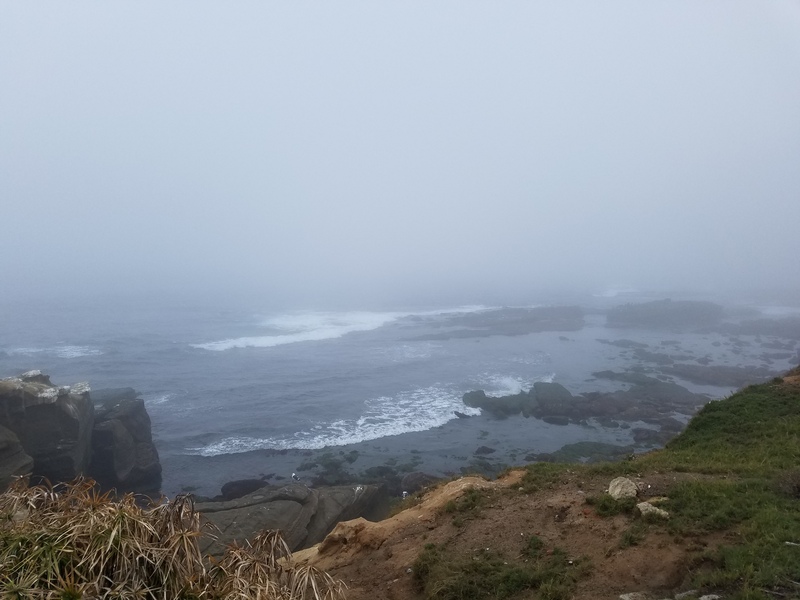 We actually stayed in La Jolla, which is just a little north of the city, and I spent a lot of time around there – so many beautiful places to walk around or run. 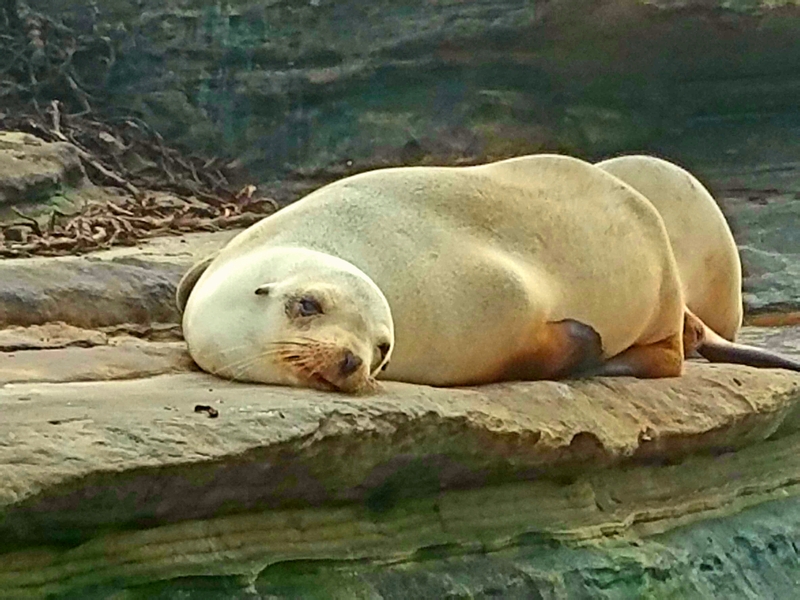 There’s a place called Seal Rock in La Jolla Cove where you can walk out and stand just feet away from the seals. And they don’t care! I mean, I wouldn’t walk up and touch them, but I was about 5 -10 feet from them and they yawned and barked and slept and seemed not to care that I was there at all. It was pretty amazing being that close to them. This adolescent seal was about 5 feet away. I was standing on one rock and he was laying on another! 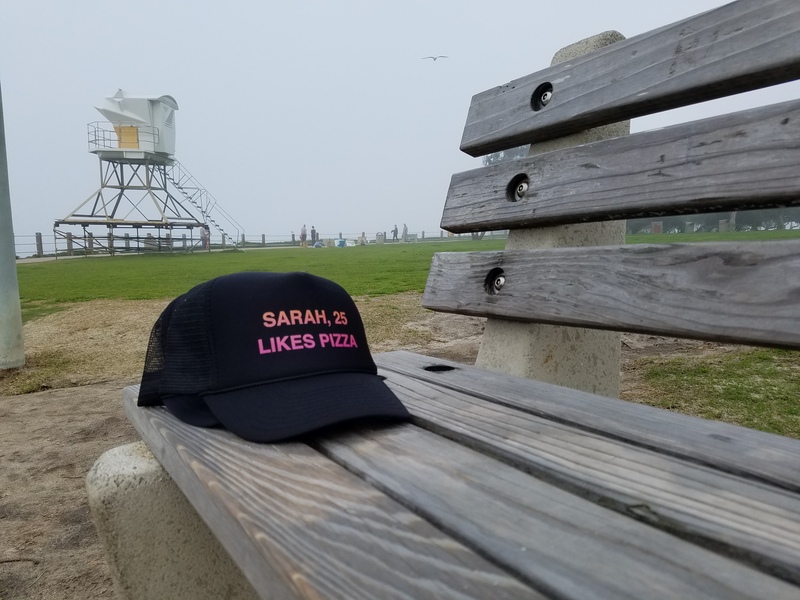 I think there must’ve been a bachelorette party and someone left these hats here, but it was just so quirky and out of place that I loved it! I visited with one of my high school friends that lives in the area and it was wonderful how you can fall back into conversation with someone you haven’t seen in well, too many years, as if you’d seen each other just yesterday. She looked, sounded and acted the same and I loved every minute of spending the afternoon with her. We had hoped to go hiking or do something exercise-y since we’re both that way, instead, we had lunch and traded life stories and healthy recipes. 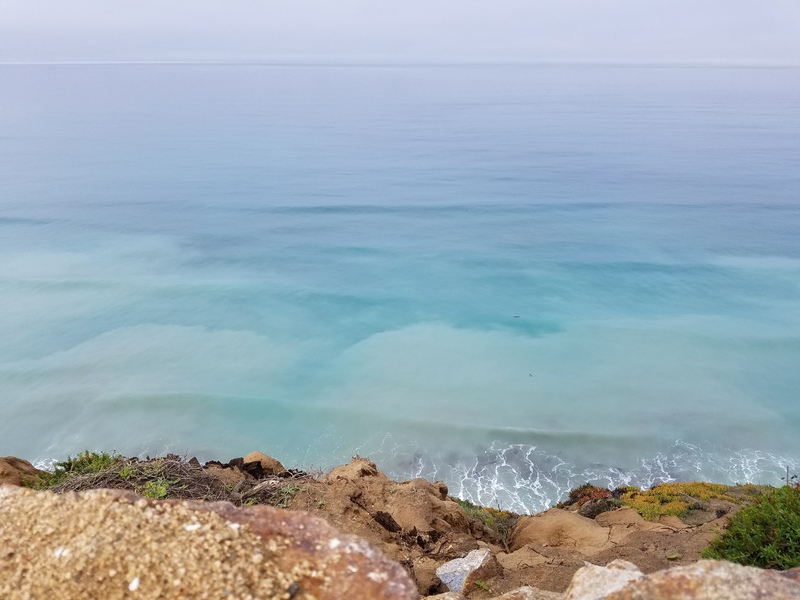 She told me that I should run/hike near where we were staying so the next morning I took her advice and during a mostly sunny couple of hours, spent time at the gorgeous Torrey Pines State Reserve. They have several trails and I’m pretty sure I went on all of them, and it was some of the most spectacular scenery I’ve ever had on a run. If you’re a runner and like challenge and beauty, I’d definitely recommend it! This week, I hunker back down into reality. But while I’m adjusting from my jet lag, and basically doing nothing, here’s my list of Monday things for you. May this week be full of abundance and peace… Blessings! Oh, and Happy Valentine’s Day! What bad habits are some of the tech giants’ employees giving up? I hate squats, but they’re so great for your bum. Here’s an alternative. Yay! Is there a planet 9? And has it affected us? 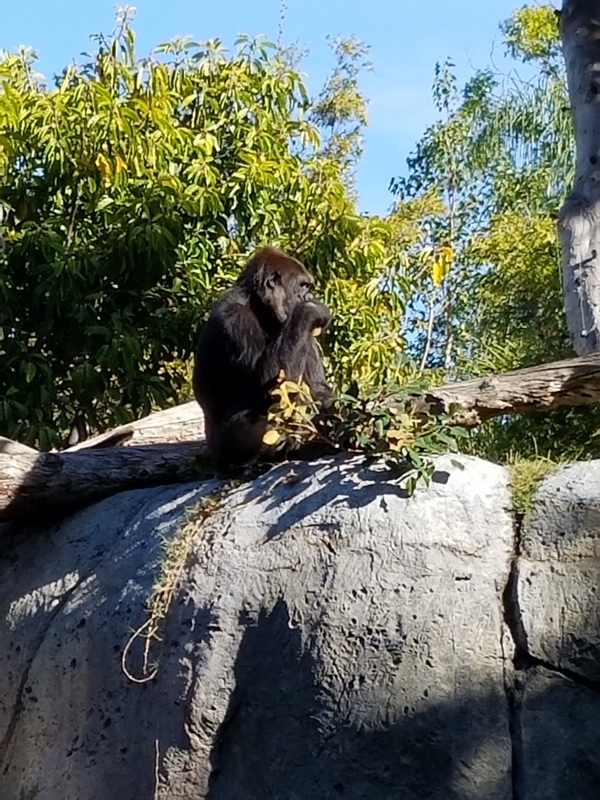 Having just seen the incredible San Diego Zoo, I find it amazing that a gorilla could escape any zoo! Wow, Sony has patented a contact lens that records video! I’m kind of (!) a pen and marker geek. These markers change colors to add depth when you use them. LOVE! I love my bullet journal because it keeps me organized, but it can also help your mental health? Netflix now has a series about design; art, furniture, architecture… sounds très intéressant!